The primary role of the altar servers and acolytes are to assist the priest in the celebration of the liturgy during Mass. This is done through specific actions and by setting an example to the congregation by active participation in the liturgy by looking alert and sitting or standing at the appropriate times. Servers carry the cross, the processional candle(s), hold the book for the priest celebrant when he is not at the altar, carry the incense and censer, present the bread, wine, and water to the priest during the preparation of the gifts, wash the hands of the priest, assist the priest celebrant and deacon as necessary. We are thankful for those that serve on our altar on Sunday and on special occasions. They are integral to the divine liturgy, and play a key role in aiding our pastor which is leading the service. 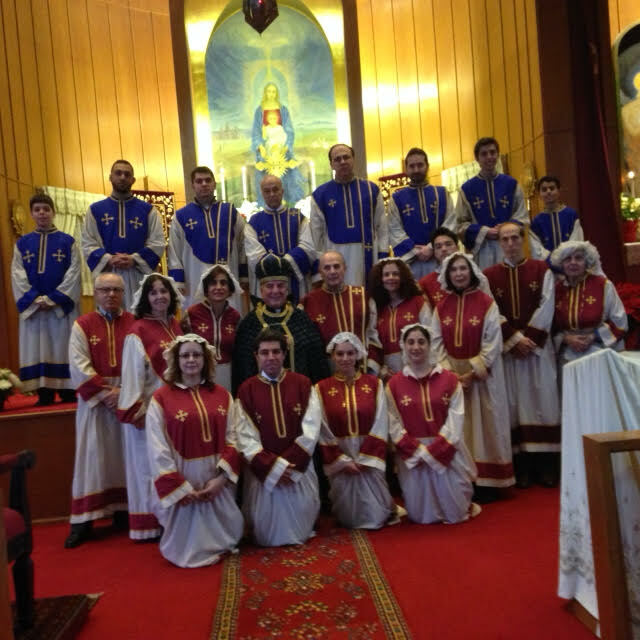 St. Thomas Armenian Church has a Deacons’ and Holy Alter Servers’ Training Program every Monday evening. If your child has an appropriate voice and you are interested in enrolling him into the acolyte program, kindly inquire with V. Rev. Fr. Papken Anoushian by contacting the church at (201) 567 – 5446.